How Do I Build My List? One of the most common questions we get, especially from new users is: How do I build my list? It’s a good question and we hope to help you get some good answers with this article. You know your business needs a steady flow of prospects so you can get more customers. Building your list of prospects who are interested in your offer is critical to the growth of your business. We have provided a number of resources to give you a solid grasp on how to answer the question: How do I build my list? Build Your Email List From Zero is a great article that helps you understand how to get started even if you have absolutely zero subscribers or prospects. Believe it or not, when we started TrafficWave, our total list count was 0. This article gives you a great way to get started. 28 Ways To Build Your Lists is a great resource to help you identify new ways to build your lists. You’ve probably seen most of them, before. You might pick up a few new ideas, too. Lead Magnets – Are They Important? is a great article to help you understand the power of using a good lead magnet to get more subscribers on your list. It focuses more on adding value to your readers and enticing (even bribing) them to join your list. We highly recommend each of the above resources as you begin to answer your own “How do I build my list?” question. Be sure to get a clear idea in mind of what you want your offer to be. Decide how you can add value to your subscribers and present that value as their incentive to get on your list. Building your list is a great way to help your business stand out from the competition, build rapport, and increase sales. Feel free to ask any questions or share your comments, below! 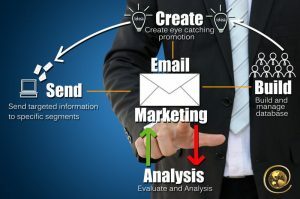 More and more businesses are experiencing the power of email marketing to help with lead generation, closing new sales, and retaining their customers. This free report will show you how you can put powerful email marketing tools to work in your own business. Just fill out the form below and we will rush your report to you right away!